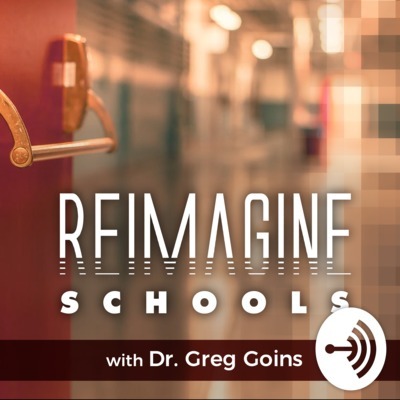 Hosted by Dr. Greg Goins, the Reimagine Schools Podcast features many of the nation's top educators, authors and innovators in K-12 education with an emphasis on leadership development, scaling innovation and transforming our public school system. Guest have included some of the world's most prolific thought leaders on education, including Ted Dintersmith, Ted Fujimoto, Ian Jukes, Alfie Kohn, Grant Lichtman, Marc Prensky and Dr. Tony Wagner. The Reimagine Schools Podcast is a proud member of the Education Podcast Network (EPN). Be sure to join the conversation with #ReimagineSchools. In this episode, entrepreneur and education transformer Ted Fujimoto offers insights on how to create sustainable change in schools through the replication of deeper learning design models with an emphasis on technology integration and intrinsic motivation. Ted serves as the co-founder of the Right To Succeed Foundation, a non-profit organization, dedicated to transforming at least 6,000 public schools into “American Dream Schools” within the next 10 years. Ted also shares his personal story as to how he went from a disgruntled student himself to ultimately becoming the co-creator and co-developer of a revolutionary new school model with the opening of the New Tech High School in Napa, California, in 1996. Twitter: @tedfujimoto. Website: www.consultlandmark.com. Become A Supporter You can now help keep the conversation going by supporting the Reimagine Schools Podcast with a small monthly donation to help sustain future episodes. Thanks for your support! https://anchor.fm/greg-goins/support About Dr. Greg Goins As the Founder/Host of the Reimagine Schools Podcast, Dr. Greg Goins has emerged as one of the nation's leading voices on visionary leadership and the path to transforming our schools. 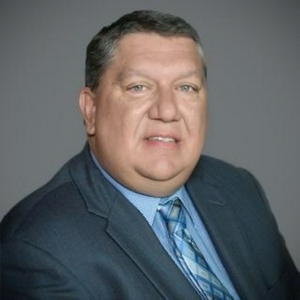 He currently serves as the Director of the Educational Leadership Program at Georgetown College (KY) and previously spent 15 years as a school district superintendent in Illinois. Dr. Goins is a passionate keynote speaker and is available to speak at your next education conference or school PD day. To book Dr. Goins, please send inquiries to drgreggoins@gmail.com. Twitter: @DrGregGoins. Website: www.reimagineschools.net. In this episode, Danny "Sunshine" Bauer shares his thoughts on leadership development and how casting the right vision is the key to building betters teams. He also talks about his podcast and new book, The Better Leaders Better Schools Roadmap and how his leadership community, The Mastermind, has helped pave the way for "heroic" leadership through reflection, problem solving and facing upper limit challenges to create "magical" schools. Twitter: @alienearbud. Website: www.betterleadersbetterschools. In this episode, internationally recognized thought leader and change agent Grant Lichtman shares his passion for transforming education as we discuss his book, Moving The Rock: Seven Levers WE Can Press to Transform Education, and how "Deeper Learning" can lead to a path of engagement and intrinsic motivation as students discover relevance in their own learning. Lichtman also reflects on a six-month road trip that served as a quest to discover innovative schools and best practices throughout the country. Twitter: @GrantLichtman. Website: www.grantlichtman.com. In this episode, author, speaker and consultant Todd Henry shares insights from his new book, Herding Tigers: Be The Leader That Creative People Need, and talks about how we can teach kids to "connect the dots" as part of the creative process in our schools. From his book, he also talks about the importance of culture, collaboration, and fear of failure, while dispelling the myth that highly creative people want to be isolated, when in reality, they need boundaries and leaders that can push them beyond their current experiences and abilities. Twitter: @ToddHenry. Website: www.toddhenry.com. In this episode, Dr. Tony Wagner, a global voice in education, shares insights from his best-selling books, The Global Achievement Gap and Creating Innovators: The Making of Young People Who Will Change the World, and highlights the importance of seven survival skills for the 21st century that include: 1) Critical Thinking and Problem Solving; 2) Collaborating Across Networks and Leading by Influence; 3) Agility and Adaptability; 4) Initiative and Entrepreneurship; 5) Effective Oral and Written Communication; 6) Accessing and Analyzing Information; and 7) Curiosity and Imagination. Dr. Wagner also discusses how we can create innovators in our schools through creativity, intrinsic motivation and the principles of play, passion and purpose. Twitter: @DrTonyWagner. Website: www.tonywagner.com. In this episode, Sean Gaillard, a middle school principal from North Carolina, discusses his book, The Pepper Effect: Tap Into the Magic of Creativity, Collaboration and Innovation, and how the power of music can stir passions and provide opportunities to create your very own masterpiece. Gaillard also shares ideas on building school culture with the momentum of the #CelebrateMonday and #TrendThePositive hashtags. Twitter: @smgaillard. Blog: www.principallinernotes.wordpress.com. In this episode, Kasey Bell shares insights from her book, Shake Up Learning: Practical Ideas to Move Learning from Static to Dynamic. Among the topics discussed are how to use personalized learning to create "student playlists", why Google Slides is the "swiss army knife" of the G-Suite tools and how teachers can "speak emoji" to connect with a new generation of tech-savvy students. Twitter: @ShakeUpLearning. Blog: www.shakeuplearning.com. Podcast: www.googleteachertribe.com. In this episode, Dr. Jeff Zoul reflects on a 35 year career in public education and gives listeners an inside look into his writing process that has produced numerous books on school leadership, including What Connected Educators Do Differently and Start Right Now: Teach and Lead for Excellence, with co-authors Dr. Todd Whitaker and Jimmy Casas. Dr. Zoul also provides a preview of his newest book, Stop Right Now, another collaborative effort with Casas, that completes the Start Right Now conversation with a list of those things that must stop immediately if we're truly serious about creating Future Ready Schools. Twitter: Jeff_Zoul. Bog: jeffreyzoul.blogspot.com. Website: WGEDD.com. In this episode, Dr. Mark Wagner, CEO of EdTechTeam, Inc., discusses his new book, More Now: A Message from The Future for the Educators of Today, and shares his thoughts on the state of educational technology in our schools. Among the topics discussed are the EdTechTeam Summits, EdTechTeam Press, the publishing division of EdTechTeam, Inc., and his role with Google for Education as he helps lead the Google Certified Innovator Program. Twitter: @markwagner, @edtechteam. In this episode, Jon Corippo, Executive Director of CUE, a non-profit organization that specializes in professional development for educators, discusses "seamless technology" in the classroom that will create a culture of learning through the four C's of communication, creativity, collaboration and critical thinking. As one of the nation's leading voices in educational technology, Corippo also shares insights from his book, The EduProtocol Field Guide: 16 Student-Centered Lesson Frames for Infinite Learning Possibilities. Corippo is an Apple Distinguished Educator, a Certified Google Innovator and was named to the National School Board Association's (NSBA) Twenty to Watch in 2016. He is also the creator of the popular CUE Rock Star Camp Series. Twitter: @jcorippo. In this episode, Dr. Pam Moran reflects on a 43 year career in public education that included 13 years as the Superintendent of the Albemarle Public School District in Virginia. Selected as the 2016 Virginia Superintendent of the Year, Pam is a long time advocate of an educational model that prepares students for “success in their century, not mine.” She emphasizes the value of student-led research, project-based learning and contemporary learning spaces that promote collaboration, creativity, analytical problem-solving, critical thinking, and communications competencies among all students. She can now add co-author to her list of accomplishments as her new book, Timeless Learning: How Imagination, Observation, and Zero-Based Thinking Change Schools will be released in August, 2018. Twitter: @pammoran. In this episode, Dr. Denver Fowler shares insights from his new book, The 21st Century School Leader: Leading Schools in Today’s World and cites evidence to support the use of digital tools in the classroom to meet the needs of a new generation of digital learners. As an international speaker and researcher, Dr. Fowler also discusses the global impact of the American education system and why Finland is widely considered the world leader in P-12 education. Twitter: @DenverJFowler. Are you frustrated with traditional models of professional development? Are you ready to take PD at your school to the next level? In this episode, special guest Rich Czyz, an elementary school principal from New Jersey, discusses his book, The Four O'Clock Faculty: A Rouge Guide to Revolutionary Professional Development, and shares some innovative solutions to "reimagine" PD for educators. Among the topics discussed are EdCamps, Ignite Sessions, #CoffeeEDU, Book Studies, Voxer Groups and a few surprises to challenge the status quo. Twitter: @RACzyz. Blog: www.fouroclockfaculty.com. Are you ready to eliminate grade levels and create better learning opportunities for kids? In this episode, Travis Lape, Innovative Programs Director of the Harrisburg School District in South Dakota, shares an innovative new model that includes design thinking, personalized learning and school maker spaces for enhanced student engagement. To learn more, follow Travis Lape on Twitter at @travislape and read his blog at www.lensintolearning.com. In this episode, Heather Warrell, a Digital Learning Coach at the Kentucky Department of Education, shares her thoughts on Digital Leadership, Purple Cows and the #KYGoDigital movement that continues to gain momentum as innovative school leaders throughout Kentucky have embraced a new approach to professional learning. Twitter: @heatherwarrell, @DrGregGoins. In this episode, Dr. David Geurin shares his thoughts on Digital Leadership and provides an overview of his book, Future Driven: Will Students Thrive in an Unpredictable World? Dr. Geurin serves as the principal at Bolivar High School (MO), a 2013 National Blue Ribbon School, and was selected by the National Association of Secondary School Principals (NASSP) as a National Digital Principal of the Year in 2017. Learn more about Dr. Geurin at www.davidgeurin.com. In this inaugural episode of the Reimagine Schools podcast, Dr. Greg Goins interviews special guest Ted Dintersmith about his new book, What School Could Be: Insights and Inspiration from Teachers across America. Be sure to follow Ted Dintersmith at @dintersmith and buy the book at www.teddintersmith.com.